If you run a website that others are going to use, there’s probably a desire to find a mixture between user-customization and putting forth your content. For simple sites, that’s easy enough, but what if you want to change the design of pages, and put in elements like new widgets? Netvibes now has a way. 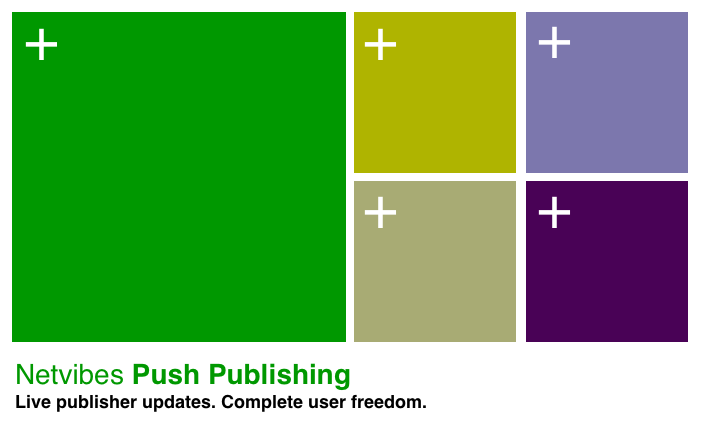 Its new Premium Dashboards product gives publishers the ability to push out new content and site changes, while at the same time giving users on the other end some control over what they want to see from these changes. Regular Dashboard members will be told that there are new updates available (just as you would be with your computer operating system) and are asked to update. But Premium Dashboard members can pick and choose which updates to accept or reject. This seems like a smart play from both Netvibes and its publishers perspective because most users are probably going to choose to accept whatever changes are being pushed towards them. But at the same time, they’ll know in the back of their minds that they do have a choice not to, which is always reassuring. And this whole process maintains the simplicity that leads publishers to choose Netvibes in the first place. I also like that the demo they sent us is using Chromium for Mac, which is of course, the unreleased and unfinished Mac version of Google Chrome. Ballsy.